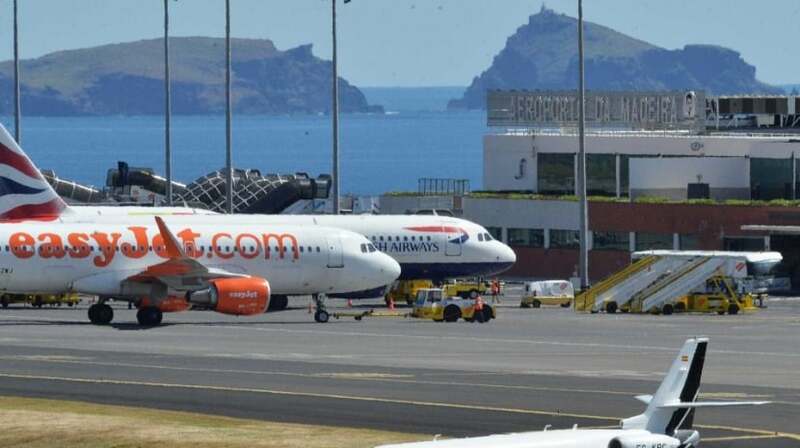 The president of the National Civil Aviation Authority (ANAC) believes that revising the wind limits at Madeira Airport will never meet political but scientific criteria for the safety of passengers and aircraft crews. “The solution will be completely scientific and not political, and nor should it be, it is clearly out of the question,” said Luís Silva Ribeiro. “We can not have safer airports and less secure airports,” he added. Luís Silva Ribeiro thus commented on the resolution adopted at the plenary session of the Legislative Assembly of Madeira on July 5, already published in the Diário da República and in the Official Gazette of the Autonomous Region of Madeira, on the wind limits at Madeira Airport – Cristiano Ronaldo. The resolution urges ANAC to “immediately convert” the current wind limits to air operations at this airport, changing them from “mandatory / mandatory”, with a sanctioning nature, to “recommendations / alerts”. The document asks the regulator to “decide, within a year, on the revision of the wind limits for the air operations at Madeira Airport – Cristiano Ronaldo”. “I think the resolution translates the importance that the region itself and we all give to this issue. In terms of practical effects, it can not have because our responsibility is to look beyond the political issue,” noted Luís Silva Ribeiro. The representative recalled that the issue can not be changed simply because one year there is more wind than others or because in a given year more flights were canceled than in others. Any decision on the matter, he stressed, will always be taken in the light of the conclusions of the ongoing studies. “If the conclusion is that the limits are justified, we will assume that conclusion as soon as possible and we will maintain the limits. If the conclusion of all the scientists working on this subject is that the boundaries must be changed in this or that direction , we will do so, we do not have any dogma at the start, “he explained, without pointing out a date for the end of the studies, which involve several entities, including the ANAC. The National Laboratory of Civil Engineering (LNEC), the Portuguese Institute of the Sea and Atmosphere (IPMA), NAV – Portuguese Air Navigation, ANA – Aeroportos de Portugal, representatives of TAP and easyJet companies, representatives of the Autonomous Region of Madeira and the Association of Portuguese Airline Pilots, with contributions from Airbus (aircraft manufacturer). On the other hand, Luís Silva Ribeiro recognizes that it is necessary to make investments in the Madeira Airport in terms of meteorological equipment, in order to provide a decision as correct as possible to the pilot. “For the rider to be able to make that decision, when he is going to do the track, he has to know what the weather conditions are for the winds that he will encounter during that approaching period, and to have a concrete idea of ​​what is going to happen, install, calibrate and make a series of investments in terms of instruments that allow the tower to inform the pilot about the conditions he will face, “he explained. The head of the ANAC pointed out that the first phase of wind studies has already been completed (with an island-wide model for wind tunnel testing), followed by the establishment of the installation of measurement equipment ‘in loco’ the validation and calibration of the model and, finally, the conclusions. “The deadline is as little as possible because we want to resolve this issue as soon as possible,” he added, adding that while understanding the urgency of the region, the authority will not make changes to the security policy without sound studies on its impacts. The limits to the operation of the airport of Madeira were imposed in 1965, due to the constant strong winds, preventing that the commanders to have the exclusivity in the decision to make movements. However, there are violations of the limits imposed by the national regulator of the sector.